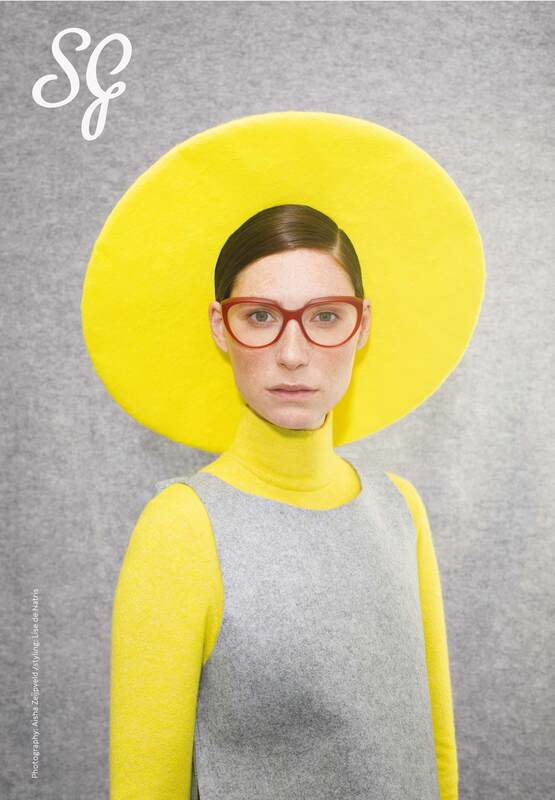 Five Years of keeping it glamorous in the eyewear business have flown by and much has happened since Dutch brand SUZY GLAM made its debut at Silmo tradeshow in Paris. With their three-dimensional designs, love for great fits and carefully chosen color palettes, the Amsterdam-based company has dazzled audiences – including us. 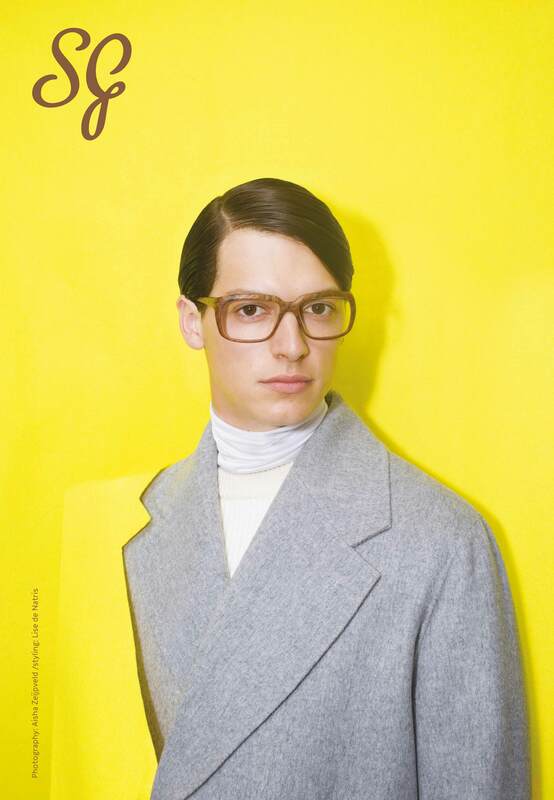 We here at SPECTR have kept a close eye on the evolution of the label that is now a fixture among independent brands. Now that the five-year anniversary is upon us, the brand is releasing a limited edition frame while expanding its horizons to olefactory designs with their own SUZY GLAM store scent. We took the chance to reflect with company founders Susanne Klemm and Etienne Frederiks on the past, present, and future of SUZY GLAM. A five year retrospective in five chapters. When Susanne and Etienne joined forces in 2012 to launch their own brand, the move had been a long time coming. Having worked for more than 20 years in several positions in the eyewear industry, the two were ready to make a contribution and put Susanne’s unique design skills to work. Plus, their inside knowledge and familiarity with the business helped them identify something that was missing among the building trend for vintage-inspired eyewear. Creating their own approach, the two agreed on defining their own design DNA and build SUZY GLAM from the ground up. 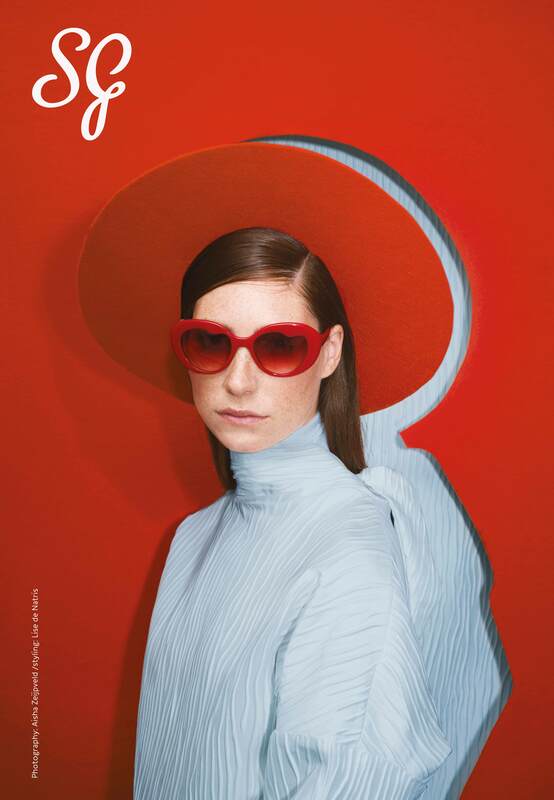 SUZY GLAM is banking on sustainability and consitency in its marketing as well: The current campaign was captured – like all previous ones – by Aisha Zeijpveld. The artist residing in Amsterdam has had a defining influence on the visual presentation of SUZY GLAM. Time to find out if eyewear audiences would appreciate the “glam” vision. 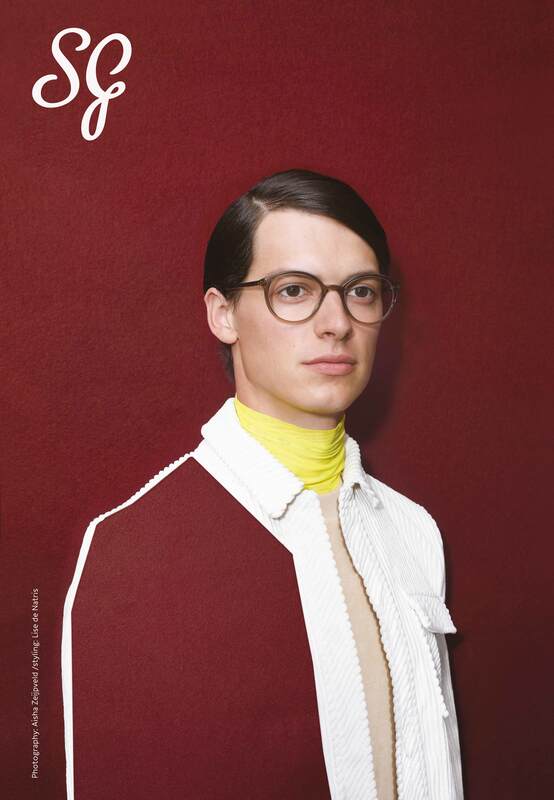 The two packed up six styles – their first collection – and headed for Silmo 2013 in Paris. Although, in retrospect, Susanne and Etienne admitted not having big expectations, but neither did they feel any pressure. Buoyed by the positive response to the design aspect of the brand, the next step was creating a business plan. Again, the two founders decided to organize their business the same way Susanne designs her frames; from scratch. As a result, the two maintained direct contact with their clients instead of working with sales reps – a bold move for a young brand that still had lots of doors to open. Keeping core business aspects minimal, SUZY GLAM set off without a dedicated marketing department, working with substantial and highly targeted editorials instead while letting the photographers shooting their campaigns proceed with full creative freedom. 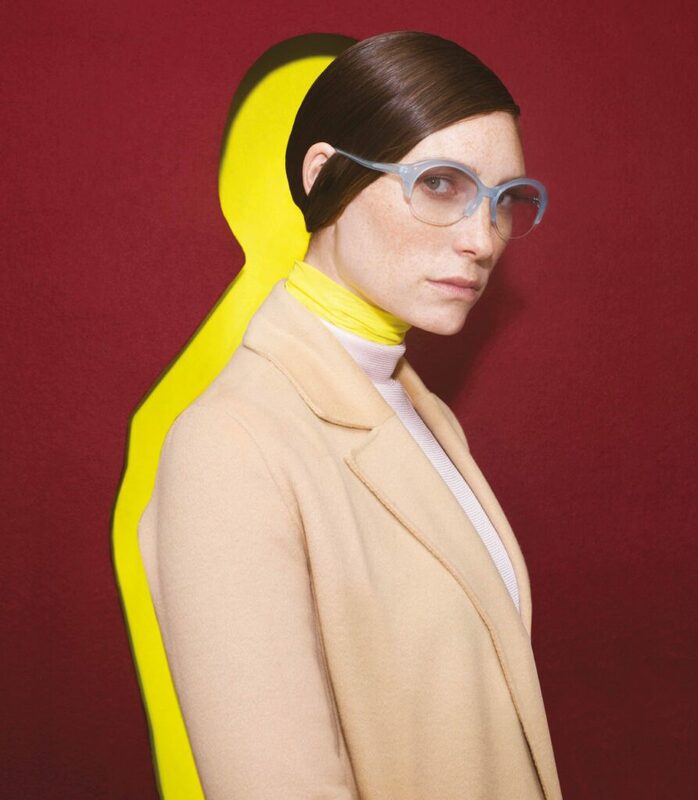 The eyewear and fashion business are currently marred by the fact that those constant product releases and ordering cycles tend to flood the market with far too much product, which also impacts the environment. SUZY GLAM arrived at this realization quite early on. As a direct commitment to sustainability, SUZY GLAM uses biodegradable acetate whenever available while working closely with manufacturers that share a mutual interest in making fair products. Growing slowly but surely over the years, SUZY GLAM now works with independent retailers in 19 countries worldwide, from Cape Town to Helsinki and from Tokyo to London – a testament to the power of building heat slowly instead of burning out in a flash. Celebrating the fifth brand anniversary, SUZY GLAM is releasing a new limited edition sunglasses model named Celebrates. 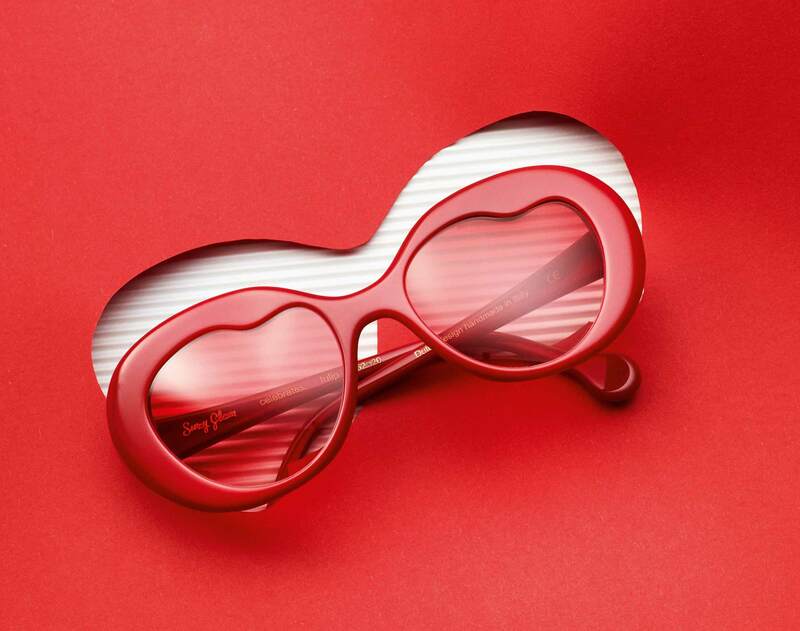 Aside from these cheerful, asymmetric, heart-shaped sunnies, Susanne and Etienne also went from creating visionary designs to shaping their own olfactory experience. Their new unique store scent features traces of cucumber, vanilla and cedar wood to accompany the SUZY GLAM experience. It’s the sweet smell of success, and Susanne and Etienne have literally had their hands in every step along the way. And they’re far from finished.